Another year has passed and it’s time to think about resolutions for the New Year. As an angel investor, it’s a great time to reflect on the past year and then turn your thoughts forward to investment opportunities in 2015. In last year’s New Year’s post, I suggested that you think about knowing your co-investors, getting your investment dox in order and looking at the world through the lens of an entrepreneur. The New Year is a great time to think about your personal investment strategy for the coming year. Take a hard look at your portfolio to see if you want to add some sector or regional diversification. What is the outlook for capital funding needs for the current investments you own and how do you want to allocate your investment dollars between “follow-on” rounds and new investments? Think about ways to increase your exposure to investment opportunities by getting involved in the entrepreneurial eco-system. This might include becoming a mentor to an incubator/accelerator or checking out opportunities to support entrepreneurs at your alma mater. Whether issued at the seed round or to accomplish a “bridge” to a follow-on financing, convertible notes may be present in your portfolio. It is VERY important to understand all the terms of the notes, especially if the maturity of the note is scheduled to occur in the coming year. What happens to your investment if there is no “Qualified Financing” or the company goes into a wind-down? If there is a conversion into a priced round, make sure that the shares you receive reflect not only your principal investment but also any accrued interest, as well as any discounts or caps in the note agreement. Understanding the terms of these investments might help to eliminate some surprises! Angel Investing – The gust guide to Making Money & Having Fun Investing in Startupsby David S. Rose, CEO of Gust and Founder of New York Angels. This is a great read from a true pioneer in the angel-investing scene. What Every Angel Investor Wants You to Knowby Brian S. Cohen, Chairman of New York Angels, and John Kador. Written in the first person and filled with anecdotes, war stories and wisdom gained from Brian’s many years of angel investing, this book is both a fun and insightful read. Early Exits by Basil Peters. An informative read on exits from the perspective of the angel investor. Contagious-Why Things Catch On. An interesting perspective on the issue of social transmission in our digital age written by Jonah Berger from the Wharton School. 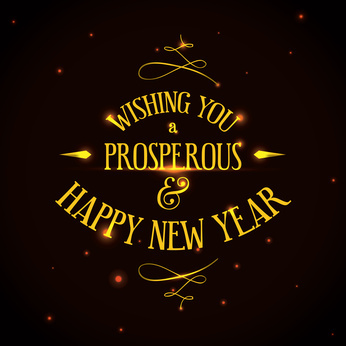 Have a very Happy and Prosperous New Year! This entry was posted in Accelerators, Angel Groups, Angel Investing, Convertible Notes, Golden Seeds, Opinion, Uncategorized, Wharton School and tagged Alex Wilmerding, Angel Investing, Angel Investor, Basil Peters, Brian S Cohen, David Rose, Golden Seeds, Jonah Berger, New York Angels, Term Sheets, Wharton School, Women Angels. Bookmark the permalink.